Under the Surface Transportation and Veterans Health Care Choice Improvement Act of 2015 (Act), C corporation returns are due by the 15th day of the fourth month after the end of the tax year (April 15 for a calendar year C corporation). For C corporations with fiscal years ending on June 30, the change will not apply until tax years beginning after December 31, 2025, so these returns are due on the 15th day of the third month after the end of the tax year. The Act fixed the automatic extension period for any return for a tax year of a C corporation ending on December 31 and beginning before January 1, 2026 at five months, meaning the extended due date would be September 15. But the draft Form 7004 Instructions published by the IRS on January 17, 2017 grant an automatic six- month extension, meaning the extended due date would be October 15. The IRS has the authority to take such action under §6081(a) which enables the IRS to grant up to a six-month extension. It seems, therefore, that the automatic extended due date for a calendar year-end C corporation will be October 15 and not September 15 as previously dictated under the Act. 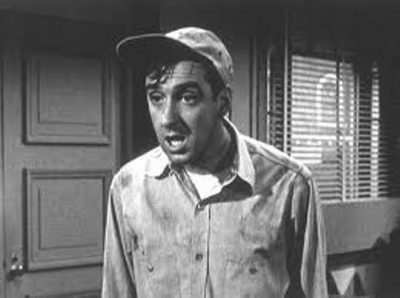 “Surprise, Surprise!” is not then solely the familiar catchphrase of the affable Gomer Pyle. It’s also descriptive of the unexpected actions of the IRS in giving practitioners an extra month on the automatic extension. Nick Spoltore is Director of Tax & Advisory Content for Surgent Professional Education. Mr. Spoltore is a graduate of the University of Notre Dame and of Delaware Law School. Before joining Surgent Professional Education, Nick practiced tax and business law at the firm of Heaney, Kilcoyne in Pennsylvania and also in Delaware. For more from Nick Spoltore, subscribe to the Surgent Blog by visiting our blog homepage. Surprise, Surprise for C Corporation Extensions was last modified: February 9th, 2017 by Nick Spoltore, Esq.